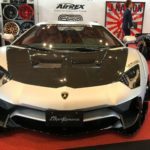 What a great time at the Tokyo Auto Salon show or TAS I had. 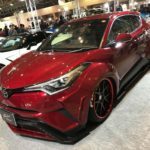 Check out these amazing JDM (Japanese Domestic Market) vehicles and let me know which one you like. 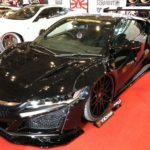 Nippon Auto Parts Aftermarket Committee or NAPAC organizes the Tokyo Auto Salon. 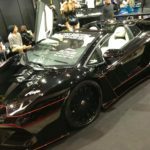 It is the largest display of custom cars in Japan. This is the show if you want to get your JDM fix. 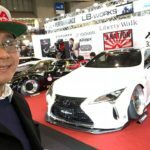 I was here working on procuring some connection to allow me to import JDM parts into the United States While the floor of the show is not that large, just like real estate in Japan there is a-lot packed into a small place. 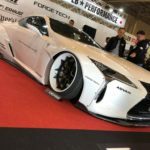 This show is still dominated by Japanese auto manufacturers, but every year there is an increasing amount of foreign makers choosing to come to the show. 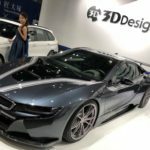 Check out the BMW pictured below by 3design Japan. I am not sure what is better looking the car or the girl behind the BMW. Can we buy both? LOL! Please feel free to look at the photos and comment below. Rytek is fueled by a passion for cars that is backed by sound engineering principles to achieve amazing results for the projects we take on.